TICKETS ARE NOW SOLD OUT! Find out everything about Liam’s massive London show next year. As the tickets prepare to go on general sale tomorrow, get our tips on what to expect and how to ensure you have the best chance of being in the crowd. 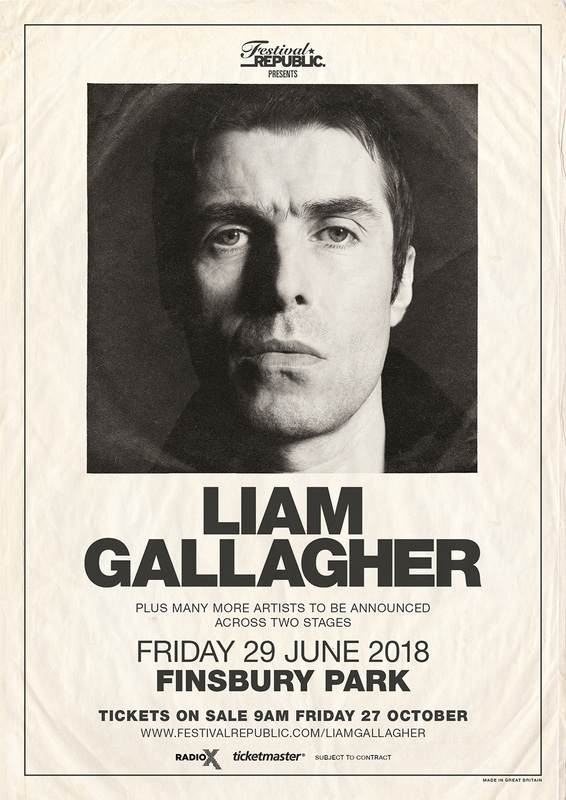 Liam plays North London’s Finsbury Park on Friday 29 June. Tickets go on sale at 9am on Friday 27 October from 9am from the Festival Republic site here. Remember, like on most ticket websites, you'll have to either register or sign in to complete your payment, so DON'T get forget and lose out on precious minutes. Get this sorted ahead of time! Tickets are priced at £52.50 (plus booking fee) for general admission and £85.00 (plus booking fee) for VIP tickets. Full details of tickets are available via the official site here. Liam has promised a full line-up across two stages, details of which will be announced across the coming weeks. Liam released his debut solo album As You Were at the beginning of October, so expect some of the key tracks from the LP, including Wall Of Glass and For What It’s Worth. Gallagher Jr has also been showcasing some Oasis classics at his recent solo shows, including Rock ’N’ Roll Star, D’You Know What I Mean, Wonderwall and Morning Glory.